The Spaniard wants his former midfielder at Newcastle, who are readying themselves for a Premier League campaign having won the Championship this season just gone. 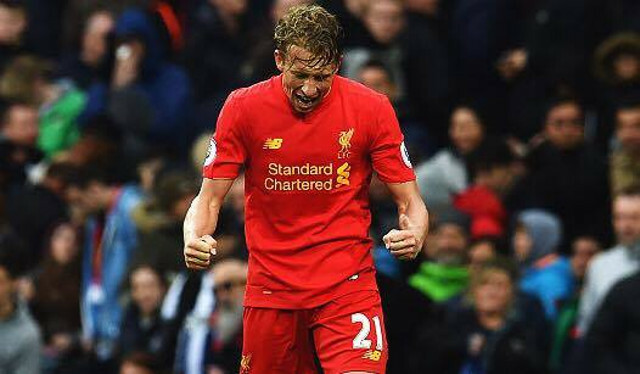 According to the Northern Echo, Benitez has earmarked Lucas as a potential signing who will add experience and defensive nous to the Magpies. Former Liverpool midfielder Jonjo Shelvey currently plays centrally for Newcastle and he could well be reunited with an ex-Liverpool team-mate in Lucas. For Lucas, the move seemingly makes more sense than returning to Gremio just yet. He only turned 30 in January and despite not getting many opportunities under Jurgen Klopp in his favoured anchorman position, he’s more than good enough to still play for most sides in the division. Newcastle are no longer considered a direct rival, so there’d be no hard feelings towards Lucas from Liverpool fans, either. In fact, most would be happy to see him help Benitez, who we still hold dearly in our hearts. Along with Lucas, we’d be happy to see Sheyi Ojo join the Toon on loan and show what he can do when deployed regularly.